Planning a vacation can be complicated. If you’ve never stayed in a vacation rental home before, it helps to know some key points about your vacation that will allow our experts to find that perfect home away from home for your vacation. Latitude 38 wants to make your vacation planning process as easy as possible. Below, you will find a checklist of questions that will help our vacation rental experts determine exactly which of our luxurious Telluride vacation properties is just right for you. Determine the dates of your vacation. How many days/nights are you staying? Are your dates flexible? If so, you might be able to save money with one of our vacation rental or seasonal specials. How many people are traveling? Adults? Kids? Do you prefer a single-family home or a condo? What amenities are most important to you? Hot tub, ski access, garage parking, etc. Do you have any special needs/requirements? Location is important. In Telluride, you need to decide if you would prefer to be in town or in Mountain Village? Do you mind taking the bus or gondola to get around? Are you traveling with your car? Would you rather be within walking distance of everything? If you are planning to ski, do you want ski-in / ski-out access to the slopes or do prefer to be closer to downtown Telluride and ride the gondola? What activities do you want to experience on your vacation? Skiing? Hiking? Dining out? Nightlife? Would you like to take advantage of the concierge services we offer to make your stay truly effortless? 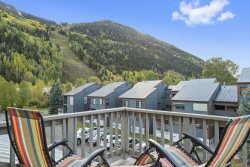 Armed with your checklist, our knowledgeable and friendly vacation rental agents will be able to help you determine which one of our fine Telluride Vacation Rentals is the perfect fit for your getaway. Our agents live in Telluride so they know the area inside and out. Please feel free to ask them questions about activities, events, festivals, ski conditions, weather, outdoor adventures and anything else you want to know about our wonderful town. Give us a call at 970-728-8838 to find out more. We can’t wait to have you stay with us in our wonderful town!